Caregiving at a Glance is IMCC's fingertip guide for families caring for a loved one with Alzheimer's. Techniques and strategies to empower caregivers address topics such as: troublesome behaviors, communication, eating, bathing and more. New copies of the 5th edition are now available at our center! If you are a family caregiver, or know a family caregiver that would benefit from this guide, please stop by the main office to pick up a copy. Now in an updated fifth edition, Caregiving at a Glance remains a helpful tool for families and caregivers supporting individuals dealing with the struggles of Alzheimer’s disease or other forms of dementia. Our hope remains that, one day, we find a cure and this guide becomes obsolete. Until that occurs, Caregiving at a Glance will continue to be a practical resource and guide for those caring for a loved one facing the life-changing challenge of a memory impairment. 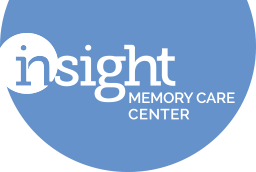 Inside we have compiled helpful hints and “aha’s” we have heard from families at Insight Memory Care Center. While each individual’s dementia journey is unique, we have found that using these techniques can empower you as a caregiver. Caregiving at a Glance will help you gain confidence and ease the burden as you walk alongside your loved one on their dementia journey. Caregiving at a Glance will soon be available online, both as a printed book and ebook. Stay tuned for more updates!